It was in the summer of 1963 - July 31 to be exact - that Christ the King Parish first saw the light of day. Carved out of the west end of Blessed Sacrament Parish, the new parish was given the name of Christ the King by the late Bishop William A. O'Connor to preserve its close association with Blessed Sacrament. The Feast of Christ the King was announced by Pope Pius XI during the Holy Year of 1925, when the first school of Blessed Sacrament Parishopened its doors. Thus the name of the new parish implied that it was actually expanding the educational work begun in 1925 by Blessed Sacrament Parish. Under the auspices of Blessed Sacrament Parish, a new school and convent were built during 1957 and 1958. A groundbreaking ceremony took place on Feb. 25, 1957 at the corner of Chatham Road and Barberry Drive. On the Feast of Christ the King, Oct. 26, 1958, Bishop O'Connor presided at the dedication of the new school and convent. A half million dollars had been raised in contributions and pledges for the facility. When the school was completed it consisted of 13 classrooms, a kindergarten and a gymnasium. In the first year there were 251 students, four Dominican Sisters and one lay teacher for kindergarten through fifth grade. Grades six, seven and eight were added in succeeding years. Today its enrollment is over 500 students. A preschool was started in 1997 for three and four-year-olds and some five-year-olds. In July, 1963, a separate parish was created out of Christ the King and Bishop O'Connor appointed the Rt. Rev. Msgr. John W. Bretz as pastor and the Rev. Leo Sestak as assistant pastor. Msgr. 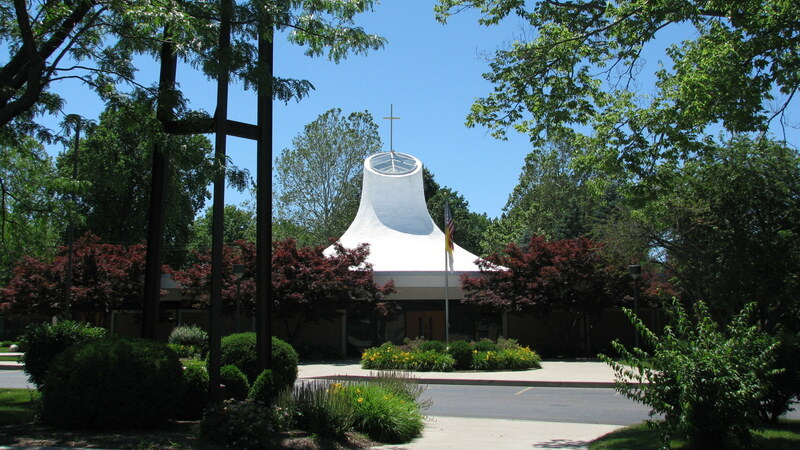 Bretz celebrated the parish's first Mass on July 31, 1963 in the school gymnasium, which would serve as the parish church until construction of the present church was completed. 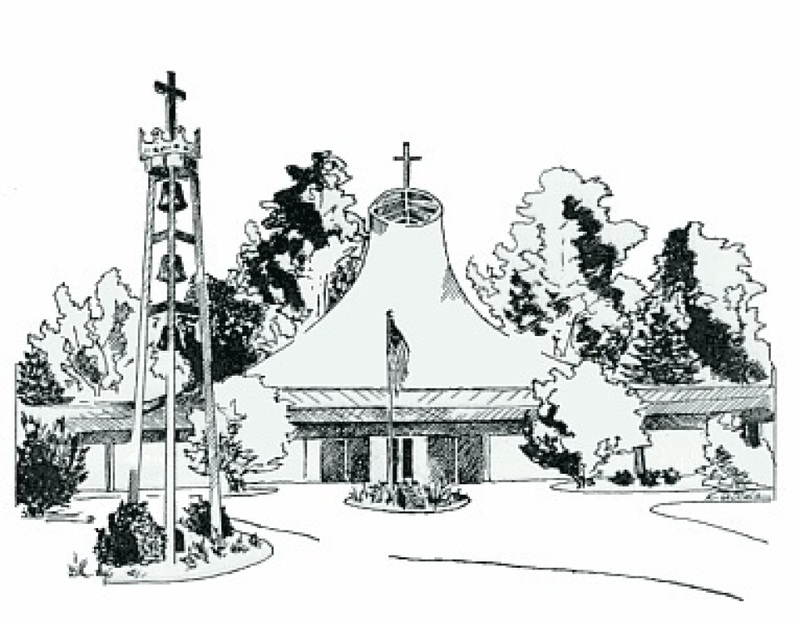 On October 20, 1970, ground was broken for the current church, which was dedicated on November 20, 1972. The design of the new church reflected elements of Vatican 11 liturgical changes in the Catholic Church, with greater emphasis on participation of the congregation in the services. Msgr. Bretz served as pastor until his retirement on June 20, 1989. On October 25, 1997, our parish celebrated the Twenty-Fifth Anniversary of the present Christ the King Church. The parish started with about 700 families and has grown to over 1500 families. The parish has been served by four bishops, including Bishops William O'Connor and Joseph McNicholas, both deceased, Bishop Daniel L. Ryan, Bishop George J. Lucas and Bishop Thomas John Paprocki who currently serves as head of the Diocese. We also remember a young priest, Rev. George Nesbitt, who briefly served this parish in 1979, and shortly afterward was called Home by our Heavenly Father.